There have been a lot of films which depict convents, nuns, and the women men think should go there. Here are some of my favorites in no particular order. John Everett Millais 1851-1852 masterpiece. Go to the Tate Gallery to see her. Was Hamlet so repulsed by the marriage of his mother to his uncle that it spread to his relationship with Ophelia? Was he really punning and using the word “nunnery” to mean “brothel”? Was he just acting crazy and using her so she would report his peculiar antics? Probably all the above, and it instigated Ophelia’s decision to drown herself as reported by Gertrude in Act IV. 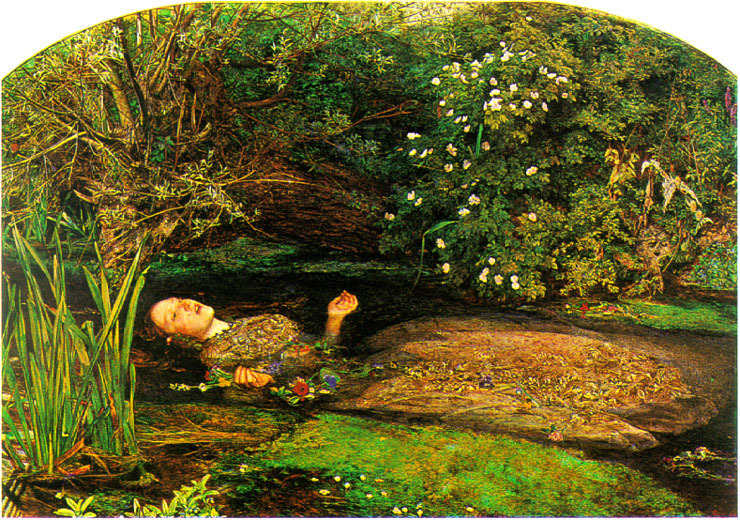 Ophelia’s death inspired hauntingly fabulous artwork. Which version of Hamlet is your favorite? On stage, I wish I had seen Ralph Fiennes or Richard Burton portray the indecisive prince. With an outstanding cast including Meryl Streep, Philip Seymour Hoffman, Amy Adams, and Viola Davis, the film set in 1964 featured the charismatic Father Flynn who was suspected by Mother Superior, Sister Aloysius, of inappropriate behavior of an African-American altar boy. Interesting plot twists and superb acting make this a fine drama written for the play and film by John Patrick Shanley. Magdalene Sisters Asylum was an Irish institution run by nuns which housed girls sent there by their families, the law, or they were orphaned. Rejected by society, the asylum functioned more as a prison with no parole. Teaching the girls of ill-repute the way to religious redemption, the film was based on a true story of three girls whose friendship aid in their survival. This riveting drama set in the 1960s peeks into the Irish relationship with Catholicism, specifically female expectations of purity and morality. After watching the film, you will wonder how these asylums stayed open until 1996. 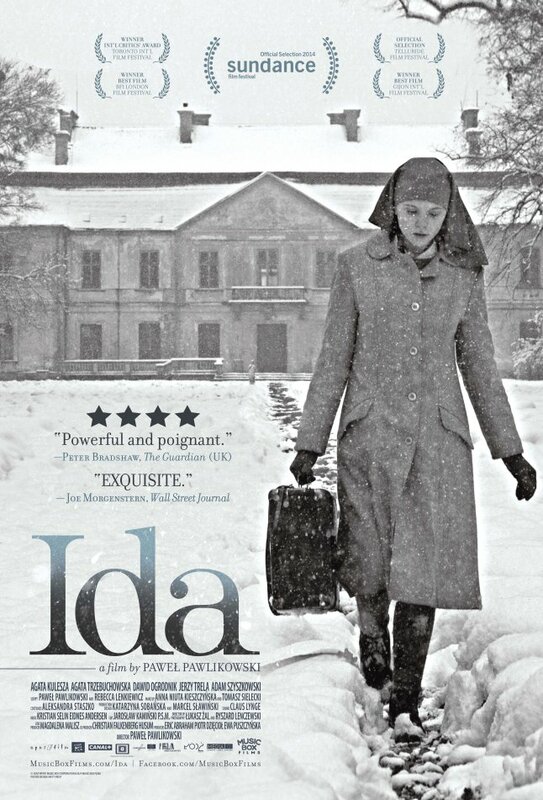 Set in 1962, Ida was Jewish and orphaned during WWII and placed in a Polish convent. Now she is about to take her vows, but first she must go on a journey of self-discovery with her troubled aunt to unearth the secrets of her family. It won Best Foreign Film this year at the Oscars. Subtle and puritanical, the atypical choice made by director Paweł Pawlikowski and cinematographer pair Ryszard Lenczewski and Lukasz Zal to use Academy Ratio–that boxy look before widescreen–their choice complemented the era of the time. It worked for me. I thought the black and white compositions were stunning. The ending was perfect. A touching, feel-good film about two proud, strong personalities, the rambling carpenter, “Schmidt”, and Mother Maria, leader of Eastern German nuns. The nuns etch out an existence on an Arizona farm, barely able to sustain themselves. When “Schmidt” played by Sidney Poitier arrives, Mother Maria played by Lilia Skala, persuades him to aid the nuns with repairs and eventually a new chapel. The community spirit and friendship between all is uplifting. I would be remiss if I didn’t include the best nun ever, Julie Andrews, as Maria in The Sound of Music. Roger and Hammerstein’s classic score is timeless. It falls into the same mental group of The Wizard of Oz. I find it inconceivable when I hear someone admit they have not seen either. This is one of the finer feel-good films–when was the last time you watched it? There are plenty of films I left out. Do you have favorite films about nuns? The word nunnery in Hamlet referred not to a convent, but to a brothel. also, his change in attitude toward ophelia was due to (1) hw iknowing she had set him up so her father could spy on hm and (2) her facile response to his questions about whether she is honest and fair. By answering , “could beauty, my lord, have better commerce than with honesty?” proved her a fool who parroted the cliches of the court, rather than think for herself. Yes, she was foolish. She was a pawn and no match for the wit of Hamlet. Still love the artwork. So much to disect with Hamlet. We could go on for days. 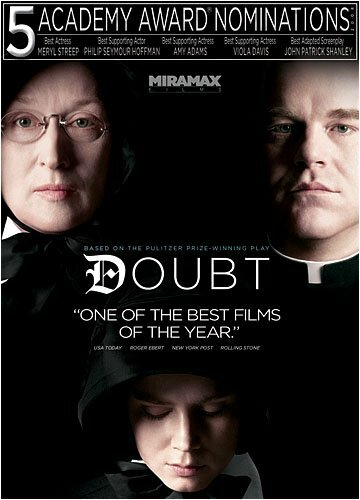 Anyhoo, Doubt was solid. Great performances. I’ll watch Ida within the next week or two. No love for the Sister Act movies? Truthfully, I only like the second one. And I know it’s a really small part, but the first movie that popped into my head when I read your title was The Blues Brothers. Great post. Hi Wendell! Welcome. I’m too serious for my own good; I just didn’t see the charm in the Sister Act films. Ha ha –yes, to the Blues Bros! I haven’t seen ‘Ida’ yet but the ‘Magdalene Sisters’ is amazingly powerful, even more so because it is based on facts that are still coming to the surface even now. Hamlet on film never worked for me, as I feel it is one of the plays best suited to the intimacy of a stage performance. I did enjoy ‘Rosencrantz and Gildenstern are Dead’ (1990) though. I would have to go with ‘Black Narcissus’ (1947) as the best ‘Nuns’ film I have seen. Hi Pete 🙂 So glad you mentioned Black Narcissus! Kerr and Simmons were fine, but I remember Sister Ruth and her troubled personality. I haven’t watched it in decades–I loved the foreign flavor of it all–gosh, I should re watch this. I don’t remember much else. Kathleen Byron was magnificent as Sister Ruth, and it’s Powell-Pressburger too. Enough said. An interesting blogpost, thanks a lot. I too would go with ‘Black Narcissus’. It has a truly scary climax to it. A really terrifying episode. Hi John, a film I need to revisit. I was a girl when I saw it and remember too little. I bet I would appreciate it more now. I thought Shirley MacLaine gave a fantastic performance in the title role of Two Mules for Sister Sara. Maybe not up to the standard of her role in The Apartment but she tackled her character’s intentional contradictions, and very real faith, with intelligence, imagination and great beauty of spirit. Yay! So glad you mentioned that one. I’m going to be writing a full review of the film in a little bit, so didn’t want to list it here, but I’m glad you did! I LOVE the film. And Shirley. Thanks, Paul. The little donkey stole that film from the cast! You’re welcome, I’ll look forward to reading about your summer of Shirley. Great idea for a list Cindy! I immediately think of Sound of Music, esp when Reverend Mother sang ‘Climb Every Mountain.’ I still need to see IDA! That song always makes me tear up. I try not to because I feel silly being so moved, but it strikes a cord! IDA. I think you will really like it. I always tear up watching that scene too, I love Maria’s expression as she’s watching her sing… it’s almost she felt peace despite the situation she’s in. Thankfully IDA is on Netflix! Amazing post Cindy, Black Narcissus also springs to mind. Yep, that’s a great one and one I need to revisit! Yes, you hit upon my favorite all-time–The Sound of Music. 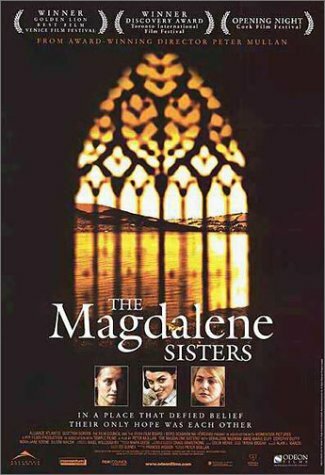 But The Magdalene Sisters looks stunning. I can’t wait to hunt that one down. And I’m waiting to see Ida as well. I’m sure both will be incredibly worthy. I love coming to see what you have on offer here, Cindy. So many movies I hear about from you. Poor Ophelia, better not to mix in the affairs of princes. I have seen live Hamlet I very much liked, but the Mel Gibson and Kenneth Branagh, while well-acted, didn’t have a young prince, and that distorted all the lines. They didn’t have the same meaning when not said by a young man. In that respect, college performances care superior, because at least the age of the Hamlet is about right. I agree–solid acting, way too old. With Mel Gibson, I just didn’t buy it that Glenn Close was his mother. I came to get your address for another reader who has a question and low and behold I find a post that I missed – my apologies – I don’t know how that happened!! No worries! So who’s your favorite nun? Sorry I didn’t pick one pictured, but MacLaine really cracked me up in “Mules”! Quite a set of nunnery on film, Cindy. Well done. Thanks, Michael. I forgot one. The Dangerous Lives of Altar Boys starring Jodi Foster from 2002. It’s a cool illustrated/comic book style coming-of-age film. Quite cute. Is it bad that I’m going to say Sister Act and Nuns on the Run? HA, no, of course not. The first Sister Act was commercially popular–Maggie Smith as a prickly Mother Superior is a perfect choice and so is Harvey Keitel doing his gangster face. Whoopi was charming and I loved the sister’s rendition of “My Man”. I always add to my Netflix queue after reading your beautiful posts! Russians love Shakespeare and I recently saw what is now my favorite version of Hamlet, Grigori Kozintsev’s Hamlet, based on a translation by Boris Pasternak. The malevolence afoot in the state of Denmark is captured by the black and white cinematography together with dramatic music composed by Dmitri Shostakovich. You can’t beat that pedigree. Many thanks, Malcolm! Yes, I couldn’t agree more! The starkness, the malevolence captured in black and white is exceptional. Some superb choices here Cindy. I love the ‘Magdalene Sisters’ and ‘Doubt’. And ‘The Sound of Music’, is no doubt one the greatest musicals ever made. Have you read Maria Von Trapp’s autobiography, called ‘Maria – My Own Story’. It’s an excellent book, a touching account, of her life, and a great insight into what life was like for them, once they escaped. There is one chapter dealing with the movie, ‘The Sound of Music’, and her miniscule appearance in it. I bought it in Austria, itself, back in 2005 (actually bought it for for my mum), when I took the Sound of Music tour in Salzburg, and borrowed it from Mum, and read it a few years later. I’d also like to mention ‘Black Narcissus’ and ‘The Song of Bernadette’, they were excellent movies. Comedy wise – ‘Sister Act’ was very good. Horror wise – though not a movie, ‘American Horror Story: Asylum’ was an excellent TV mini-series. I haven’t seen ‘Lilies of the Field’, or ‘Ida’, yet. Would love to. Am embarrassed to say, I haven’t even watched ‘The Nun’s Story’ yet, besides being a Hepburn fan. Speaking of ‘Hamlet’, Sir Kenneth Branagh’s is the best version I’ve seen. And that too, a modern adaptation that’s believable. I hated the Mel Gibson version. Another good one would be ‘Haider’, a modern bollywood take, set in the 90’s in Kashmir, India. Hi Nuwansen 🙂 I love Salzburg and went there specifically because I watched SOM and helped perform it at my high school. I would like to read the biography you recommended. Thanks for that. I would be interested in seeing the Bollywood version–I enjoy modern twists to the Bard’s plays. Kenneth is most talented although I thought he too old to play Hamlet. Loved Kate Winslet as Ophelia. Yup!! Love Winslet. My actress of today. Good choices and critiques, all! I keep falling back on the Rosalind Russell/Haley Mills ‘The Trouble With Angels’. And John Huston’s ‘Heaven Knows, Mr. Allison’. With Robert Mitchum as a Marine corporal stranded on a quickly occupied by Japanese forces island in the Pacific. With Deborah Kerr as a sole surviving nun. A very human and humane role for Mr. Mitchum. While Mr. Kerr’s Sister Angela holds her own and steals many scenes opposite one of Hollywood’s premiere “Tough Guys”! Great choices Cindy. It’s not entirely about nuns but Philomena was a fantastic film. Have you seen it? Sorry, I missed you here! Yes, I was thinking of putting Philomena in but ran out of time. I’m glad you mention it. I loved the film a lot. Judi Dench. She’s consistently outstanding in all that she does. I love in this film how wispy and forgiving she is. “There have been a lot of films which depict convents and…the women men think should go there.” LOL. I learn so much here everytime, C. You make me wish I had the time for movies. I barely can carve out the time to read. Ida looks compelling. Hi Diana. I would recommend Ida–I’m convinced you would find it provocative and satisfying. I watch films and find my book reading is slowing down. I ought to be working on my writing project and stop watching movies ! Well, at least you’re able to wRiTe about those movies. Ida is compelling; like Cindy, I think it a powerful and moving experience. If ever you find the time giving it a view would be worth it. Ida? I have. It’s outstanding. 🙂 Yeah, I realized that after a couple days. No worries. Great list of flicks, Cindy! Nuns. Who knew they’d make such compelling content for narrative? As to Hamlet. Favorite film version? Has to be Olivier, with Gibson a not-terribly close second, probably. I didn’t buy Close as his mother either. Really, I think Gibson was probably too old for the part, but he played it well enough that I didn’t mind so much. One of the reasons I liked his version so much is actually just that they kept it in the correct time period. I often disagree (sort of) with the statement that Shakespeare is timeless. His themes certainly are, and so too are – most likely – many of his characters. But the dialogue and plot-lines usually aren’t. I think more often than not moving a Shakespeare play out of a Shakespeare setting winds up being a mistake. Mel Gibson is my favorite “Hamlet.” To be honest, I wasn’t expecting much because I had only seen him in films like “Mad Max.” So I was pleasantly surprised by his outstanding performance. The only time I felt truly uneasy was when Gibson and his “mom” were on the bed. It was indeed a stretch to think of Glenn Close as his mother. Regarding other films about nuns, I have one in mind but I don’t recall the name of it. I only remember that Lillian Gish was in the film. (I don’t recall the year it was made either, but Gish was probably 60 or 70 something which she played the part.) Thank you for another excellent post. 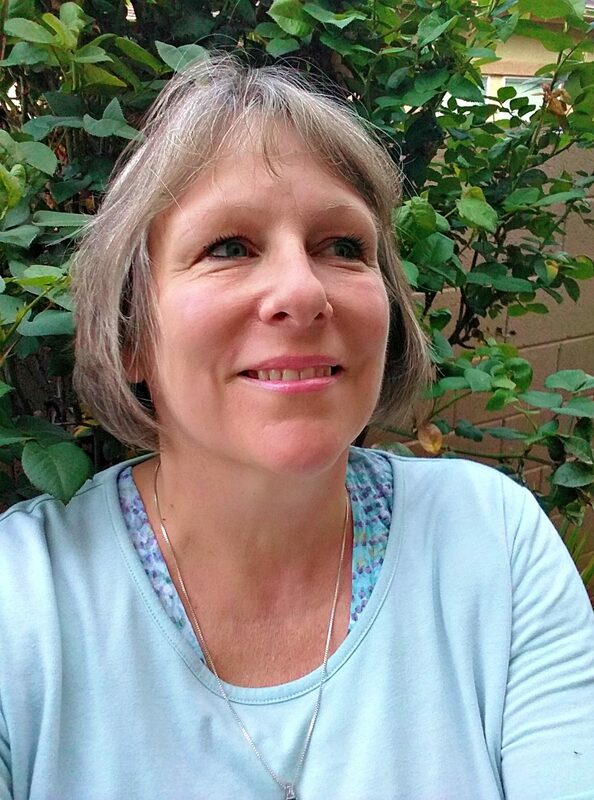 I love reading and participating in your blog! Hi Sheryl, I enjoy your input! Thanks for commenting. Yes, Glen and Mel, eeww. As for Lillian, you might be thinking of ‘The White Sister’ from 1923. Great post. What about that one with Clint Eastwood? “Two Mules for Sister Sarah” I think it was called. Hi Rob! Yes, I omitted Two Mules because I ran out of time and I wanted to review this formally. I am happy you remembered what a gem of a film it is! This was on TV last week, and I immediately thought of your post. I actually watched it, I am ashamed to admit! It was late at night, and nothing else on TV. What can I say?